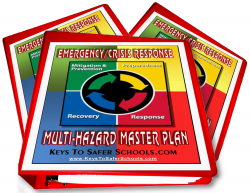 Includes principles of development of Multi-Hazard Crisis/Emergency Operation Plans and has a District Multi-Hazard Plan Manual and School Multi-Hazard Plan templates and includes those templates in electronic word-doc form on computer disk. Best used in conjunction with consulting and training services. GENERALLY: WHAT DO WE DO FIRST? 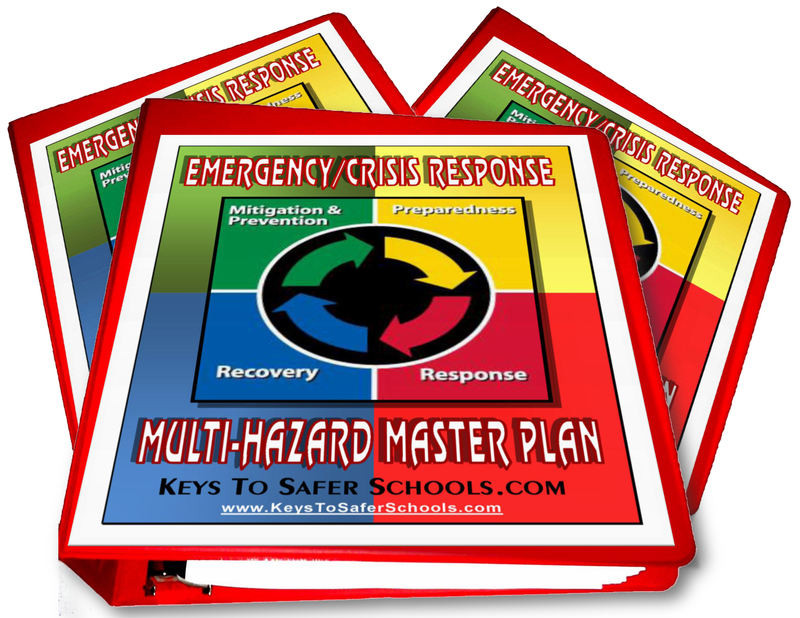 Buy Multi-Hazard Crisis/Emergency Operation Plans and get Classroom Crisis Action Flip-Chart - Pack of 100, Crisis/Emergency Team Flip-Chart - Packets of 20, Shelter in Place Kit at an additional 5% off our everyday low price.